Choosing a car seat for your newborn is one of the most important things you’ll do before your baby arrives. By law, you will need to have a properly installed car seat in your car before you can take your baby home. There are many brands and types of car seats available, and it will take time and effort to decide which is suitable for your child. 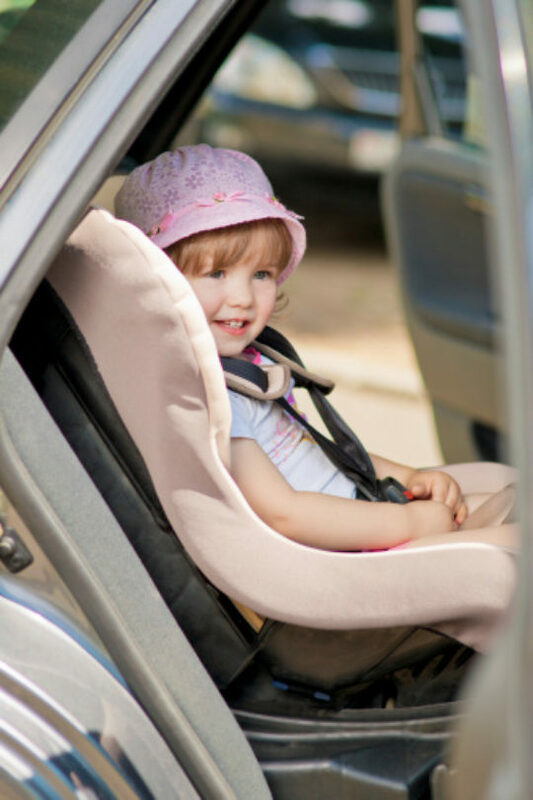 What Should I Look for in a Child Car Seat? You should look for a car seat that best fits your child. To determine this, you should test the seat to make sure it fits your baby and your vehicle properly. To ensure that you are properly installing the car seat, read the instructions carefully. Child car seats have both harness straps and a harness clip, and usually come with more than one harness slot to give your baby some growing room. The harness straps fit over your child’s head and lie over your child’s shoulders, while the harness clip holds the harness straps in place. The harness straps should fit snugly on your child, and the harness clip should be placed at armpit level. Is My Child Buckled in Properly? Infant (rear-facing) car seats should recline at about a 45-degree angle. All car seat harness straps should be at or above shoulder level and fit snugly on your child, and the harness clip should be at armpit level. It is important to consult the manufacturer’s specific instructions about the seat to assure proper installation. How Can I Make Sure My Car Seat Is Safe? Has been in a car crash. Is damaged in any way (cracks, loose parts, etc.). Is missing any parts, including the manufacturer’s label with the model number. Is more than 10 years old (In fact, most manufacturers suggest using a car seat for no more than five years). Doesn’t have instructions for installation and use. If this describes your child’s car seat, it is unsafe to use and you need to buy a new car seat. Remember to always check if your car seat has been recalled. You can find out if your car seat has been recalled through the National Highway Traffic Safety Administration.